Melissa Hege, AICP of South Florida-based Melissa Hege City Planning LLC. highlights the power of placemaking. You know those cities whose cool factor just eludes you? 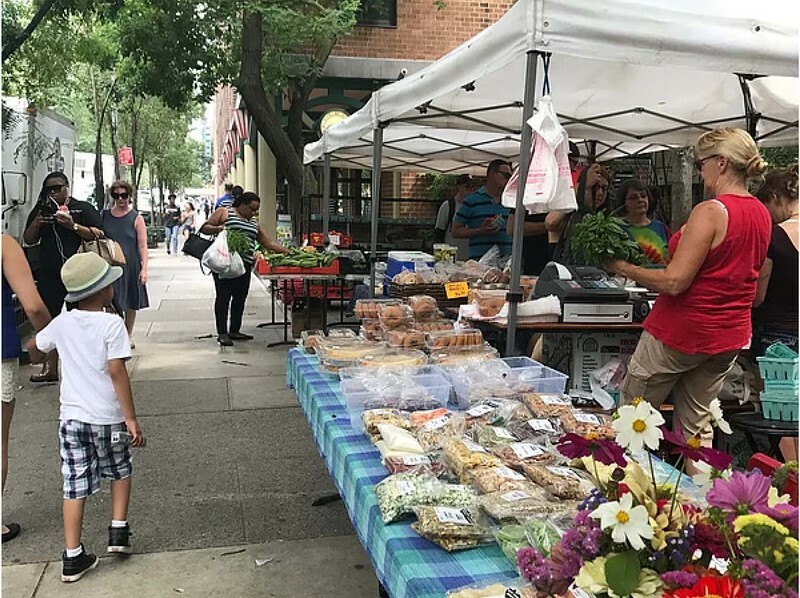 The ultra hip downtown with its farm fresh markets, organic raw vegan restaurants and stores with such original and kitsch trinkets you just can’t get enough of? Ever scratch your head and wonder why these places are some damn cute? This, my friends, is what planners strive for. We call it placemaking. How to create that special ambiance that keeps ‘em coming back for more? Here are some examples. Maybe you’ll recognize a few (Miami). You might recognize this town’s name from last summer’s blog. We go every summer. They’ve got real style when it comes to their weekend farmer’s market. Striped linens, French enamel display pans, chalkboard and understated black and white sign with a cool font. Yes, here it’s as much about the display design as it is about the food. Those burlap table cloths and wooden produce boxes and baskets scream freshly picked! Made me feel like I was at the farm. That’s my dad’s dog, Sammie, in the foreground. 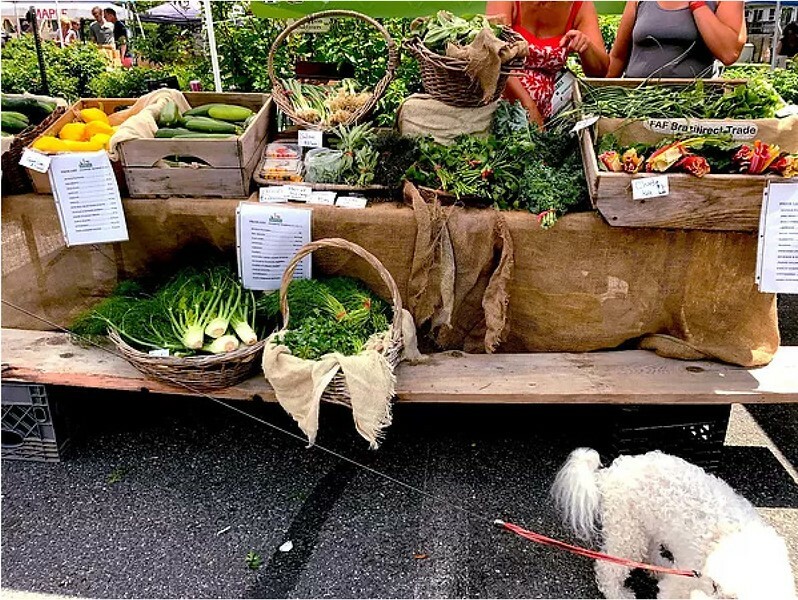 No farmer’s market is complete without the requisite cute dog. 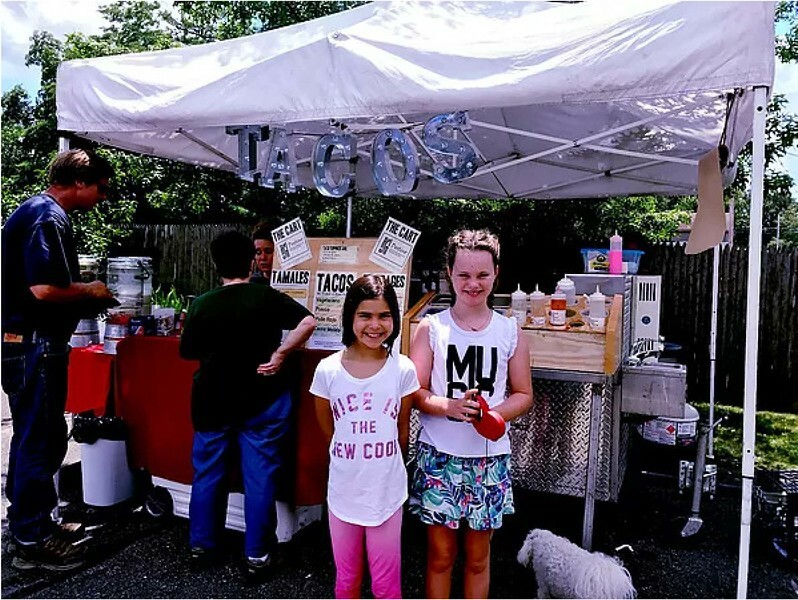 But I love this taco stand–and not just the two cuties standing in front of it! Check out the taco sign hanging above the canopy. So cool. What I like about this market is how unexpected it is. 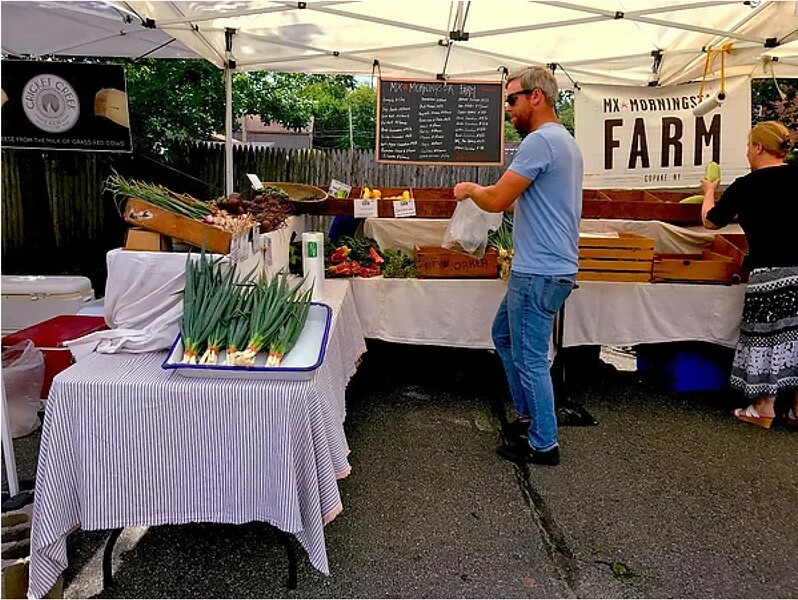 A vacant lot, nestled between two buildings is a perfect spot for a farm stand. Again, the appeal of the display lured me in. 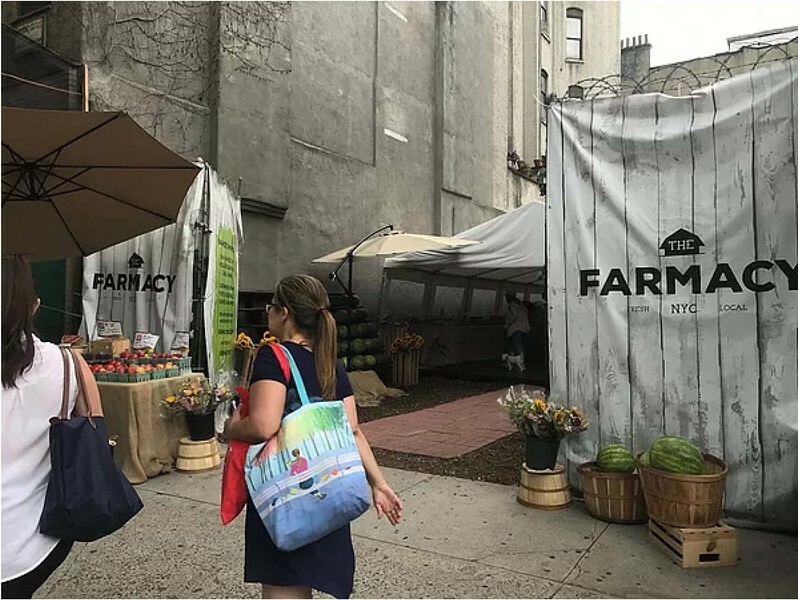 Clever name- Farmacy–and a screen print of a picket fence, watermelons, baskets and crates. 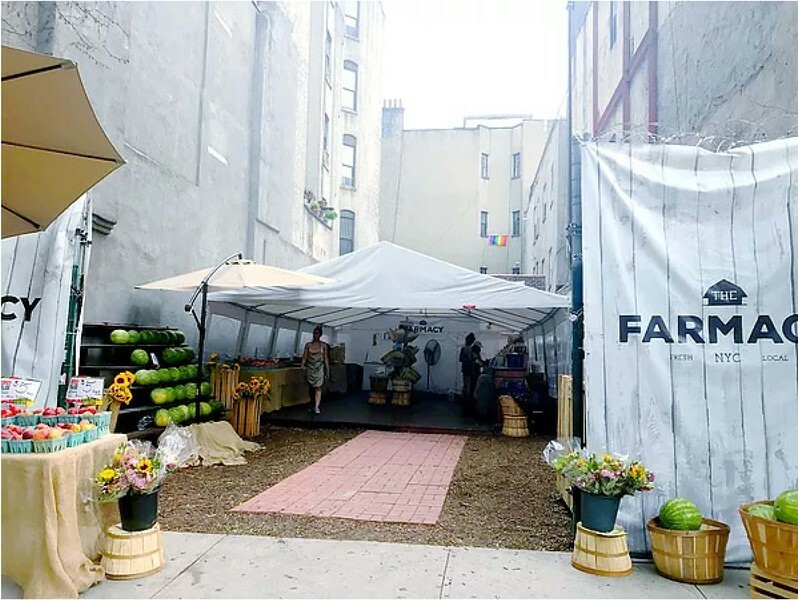 How to create the feeling of a farm in the middle of Manhattan. Remarkable when you see it from this angle. A bit of magic. Further down the street I saw this market. Not the same kind of magic as the Farmacy, but still quite beautiful because of the vivid colored flowers in the mason jars and the bright colors of the vegetables in contrast to the concrete sidewalk. 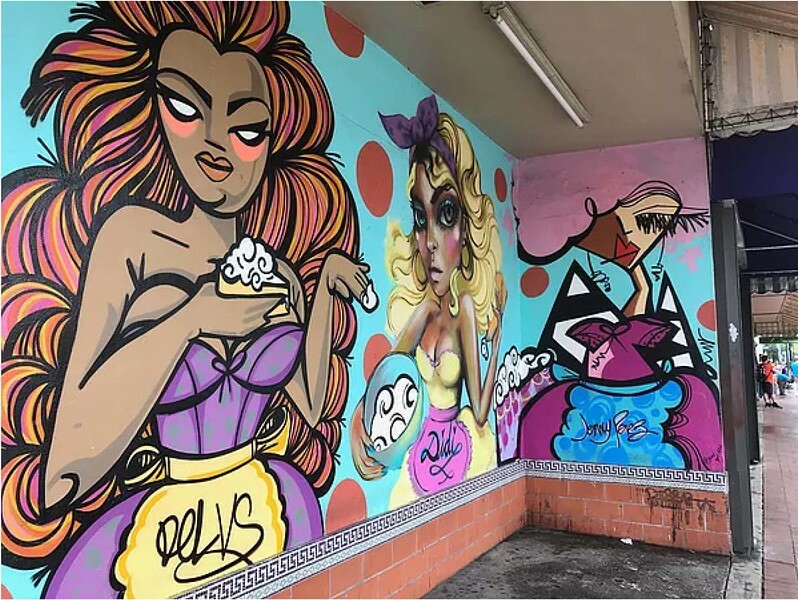 Miami may not have the same kind of ultra swank farmer’s market in Miami yet, but we have our graffiti art which, in my opinion, is just as relevant and creative. Why? 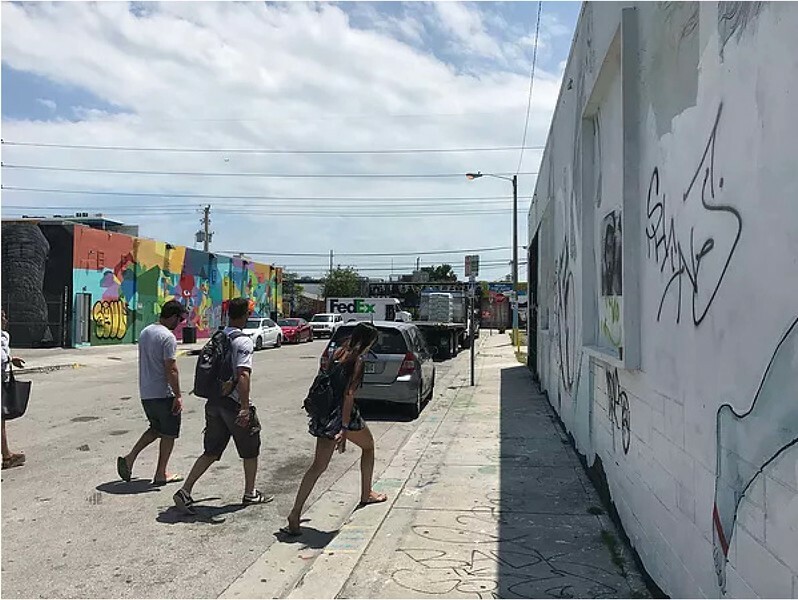 Because Miami took a common art form–grafitti– and made it its own. Last week I saw a tour bus in Wynwood. People pay money to see this stuff. And another thing, it’s replicated all over the city. It’s become our brand of sorts. There’s nothing subtle about Times Square. 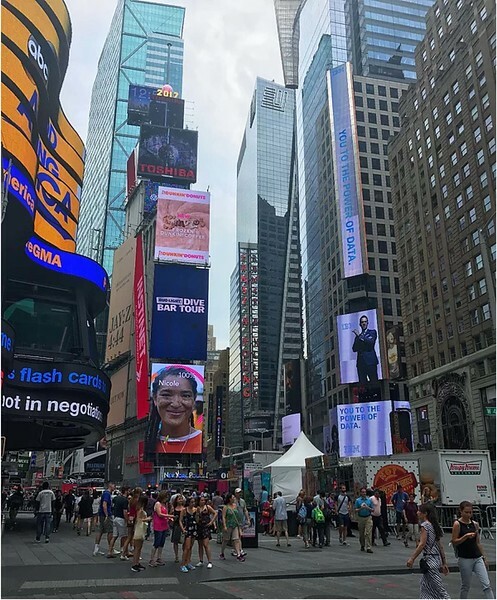 Big, flashy billboards with flashing lights and messages of youth, beauty and entertainment. This is placemaking at its finest. Created from nothing and universally understood as the center of New York entertainment.